Joseph Hilaire Pierre René Belloc, 1870-1953, was born in France of a French Catholic Father and an English protestant mother. His mother later converted under the influence of Cardinal Manning, a good friend and mentor of Hilaire. His only sister, Marie (Belloc) Lowndes, was a fairly well-known writer like her brother Hilaire. 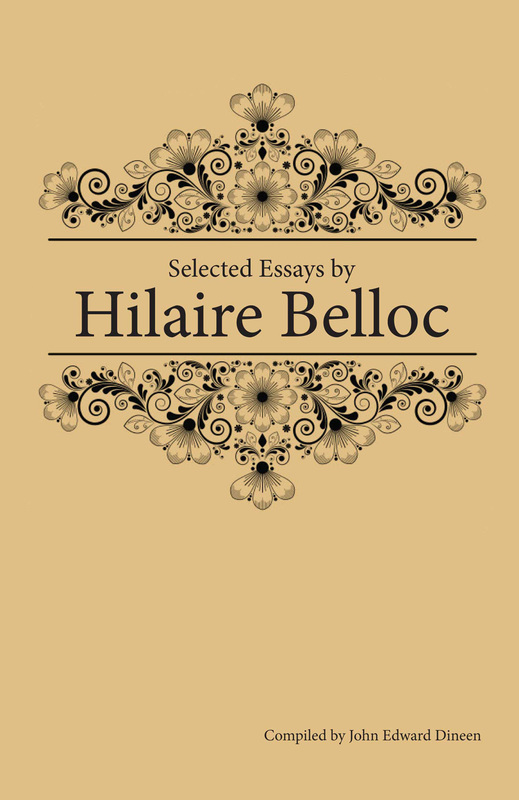 Belloc’s father died young, leaving his widow in dire financial straits with two young children to support. They moved to England, and they settled in Slindon, West Sussex, where Belloc lived for most of his life. 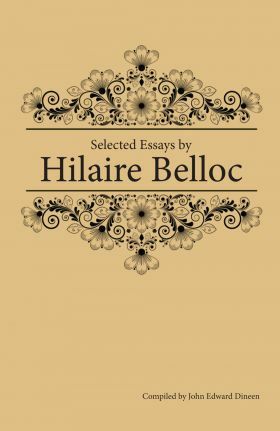 Belloc was a prolific writer and seldom was employed in any other remunerative endeavor during his life, hence the constancy of his precarious financial condition. However he was rarely, if ever, destitute, since he was one of the most widely read writers of the 20th century in both England and America. On this side of the Atlantic he is best known for his political, economic, and historical works. As an essayist he is less well-known, but some think that it is as a poet and essayist that his name will be longest remembered. These twenty-five exquisite essays, selected by John Edward Dineen, were first published as a collection in 1936 and are here offered to a new generation of American readers to savor.